A really fantastic and highly aesthetic display fossil either for a discerning collector or an interior designer looking to achieve that extra unique edge. 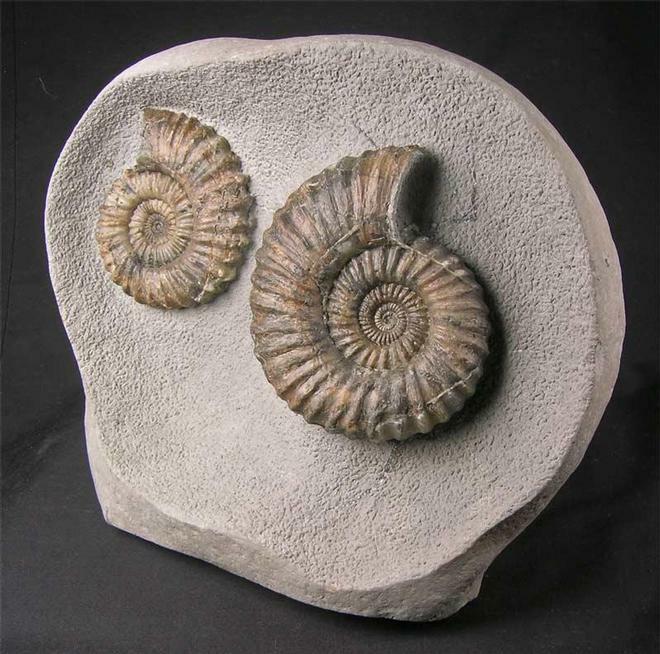 The two solid highly ribbed ammonites are side by side in a "chunky" limestone nodule which has a cut base for upright display. 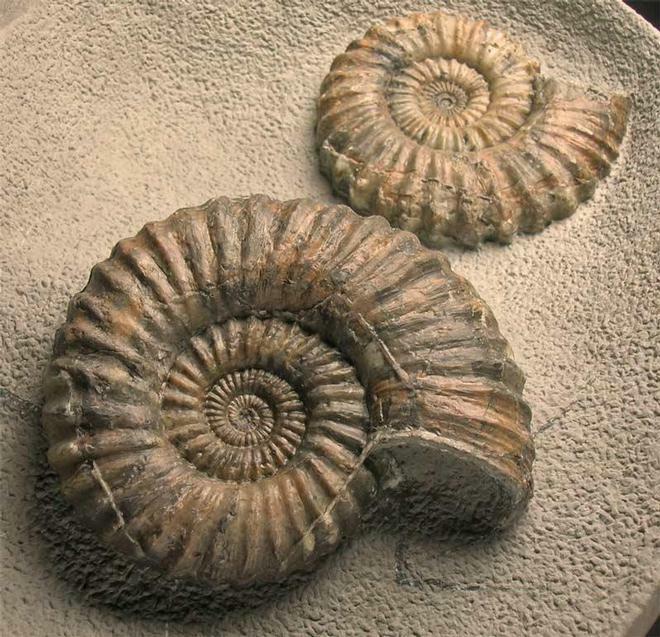 The two ammonites have beautifully preserved centres. 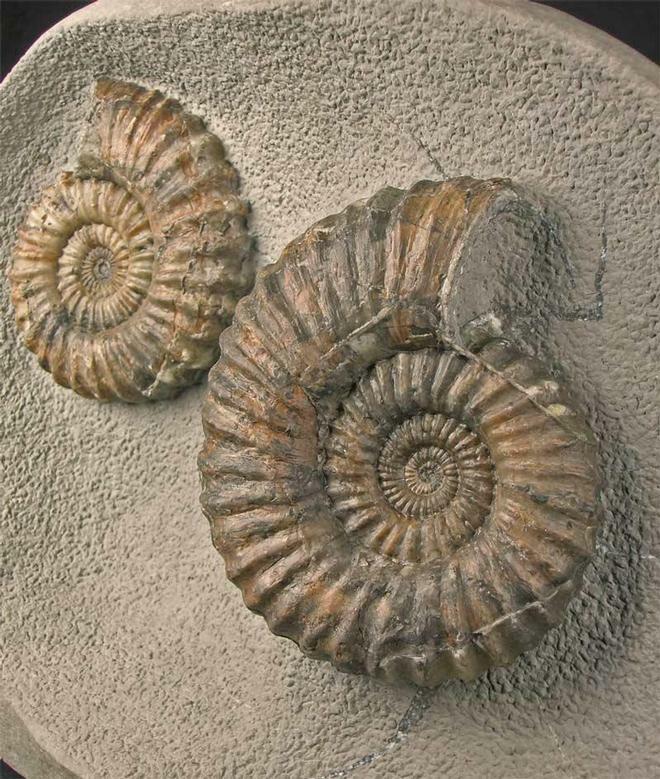 Two or more ammonites in any one nodule is uncommon in the 'Green Ammonite' beds. Approximately 190 million years old.